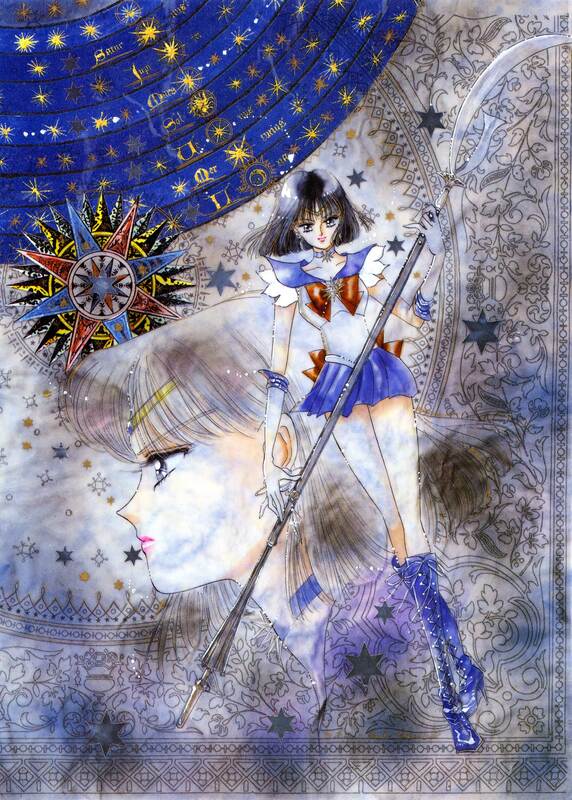 This is my favourite scan of Sailor Saturn (my fav Senshi). I love the colours, the details (the star is absolutely gorgeous and the scythe is so delicate). Saturn is so slender and beautiful. Every curl is neatly drawn. And just look at the carefully crafted background. It reminds me of Art Nouveau. It is gorgeous! It deserves a fav and a thanks for offering it to all Sailor Moon fans! Saturn's the emo of the scouts! I agree that this is beautiful portrait of Sailor Saturn. I love the background, quite mysterious. Arigato. This is a beautiful scan!...very awesome image! this illustration is simply gorgeous! love it!